The residential mortgage market continues to dominate the New Zealand economy. Most New Zealand banks qualify as 'mortgage banks' with the exception of BNZ, meaning that the proportion of mortgage lending represents over 50 percent of all lending. ANZ is the biggest contender with 29.9 percent of market share and a mortgage book representing 57.5 percent of all lending according to the latest RBNZ data. ASB has a market share of 22.3 percent and a mortgage book representing 65.4 percent of all lending, followed by Westpac with 20.2 percent and 60.1 percent, BNZ with 15.9 percent and 46.4 percent, and Kiwibank with 7.2 percent and 92.6 percent. Home loan rates only managed to grow slightly in 2017, with low inflation helping to keep rates low as the central bank attempted to stimulate economic growth. According to Jose George, the general manager at Canstar New Zealand, rates moved slower than expected last year as banks became more selective about lending amidst fears of a property market melt-down: "We have seen the historical lows go. But rates have increased much lower than expected. There has been a lot of pressure on credit quality. Banks have become far more selective in terms of their risk appetite." Home loan rates were stable throughout 2017, as market and regulatory conditions made the main banks very competitive with their smaller challengers. It was only in December that the second tier banks were able to restore their 2016 rate advantage, with HSBC Premier first in terms of relative price competitiveness with a two-year fixed rate average of 4.32 percent in 2017. TSB Bank came in second with 4.66 percent, followed by Kiwibank with 4.71 percent, ASB with 4.73 percent, BNZ with 4.74 percent, SBS Bank with 4.75 percent, Westpac and ANZ with 4.76 percent, and Co-operative Bank with 5.24 percent. 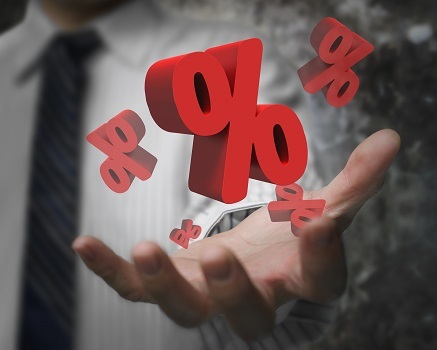 Analysts don't expect the Reserve Bank to increase the official cash rate until later this year or early next year, with some people even predicting a small rate decrease if inflation remains persistently low. According to David Tripe, Massey University's banking expert, interest rates will be higher by the end of 2018: "If we start to see bubbles of inflation from the new Government that might encourage a rate rise... It is much more likely rates are going to rise over the next two years than fall." said Tripe, adding "People will be much more sensitive to interest rate rises than in the past." Potential mortgage rate increases will depend greatly on inflation and wider economic conditions, including household debt levels and wage growth. Increasing the minimum wage to $20 an hour by 2020 could stimulate inflation, which could bring short-term rate rises as banks price in an official cash rate hike. While this is likely to affect floating and short-term interest rates more than longer-term fixed rates, changes are likely to remain marginal until the economy picks up long-term momentum.